Most children idolize their parents and copy their every move. Even these twin toddlers want to be like their sneezing father. 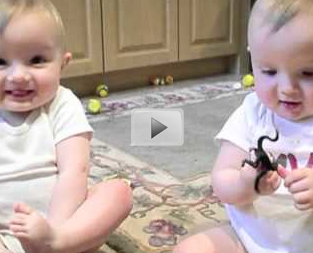 Watch how adorable these boys become as they mimc their father's sneezes.